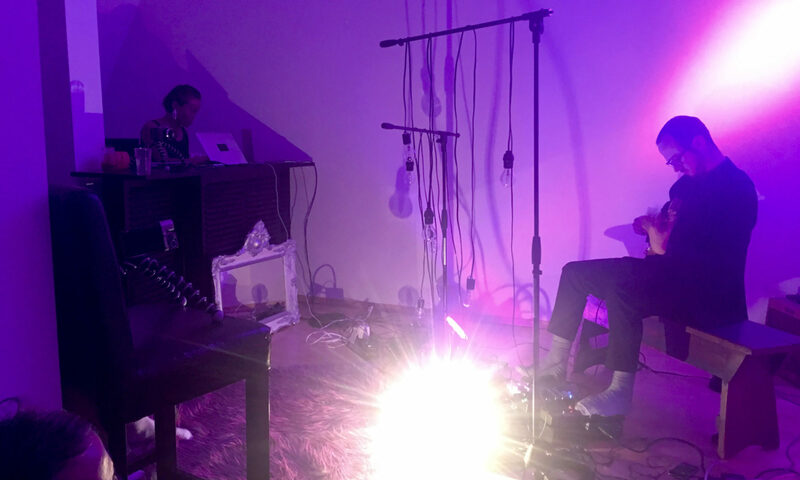 In autumn 2018, the international project radio Vostok-2 was screened on the stages of Moscow, Berlin, Dusseldorf, Hamburg, Rotterdam and Stockholm. More than 50 musicians took part in this project. In April 2019, radio Vostok-3 will play in Dusseldorf, Berlin, Brussels, Rotterdam, Amsterdam, Hamburg, Copenhagen and Stockholm. In each city the program will be performed by new musicians. The performance consists of 15 separate musical parts. Some themes of the project are born at the concert as an illustration to the authors text and video. Radio Vostok 3 is the story of the Wallachian biochemist George Nyagu, his son Bogdan and their enemy – Sergei Kopysh. Agent of the security Department of the USSR Sergei Kopysh knew that the biochemist George Nyagu is a disguised alien. Kopysh followed the alien scientist on the instructions of the security authorities. This story will be shown on video and voiced in 15 songs. This case actually occurred in the 1990s in Russia, in Siberia. The concert will feature Siberian bandit song, Walach ritual song, Russian lamentations. Will sound improvisation on disco, funk, rap, free jazz and noise themes. There will be a parody of the Opera. The music will illustrate videos and excerpts from the documentary fiction novel “Escape to the planet Earth”; (the son of the scientist Bogdan wrote this novel at the age of 14 according to the stories of his father). Musicians: Igor Titenko (tenor saxophone, trumpet, flute, vocals), Florian Bergmann (bassclarinet), Manu Louis ((vocals, guitar, electronics), Laure Boer (vocals, electronics), Jin J James (bass guitar), John Veranes (vocals, guitar), Elo Masing (violin), Elisabetta Lanfredini (vocals, performance), Kellen Mills (drums), Charlotte Pauwelyn (performance, dance), and Geraldo Si (performance)..